The Excellence in Retail Financial Services Awards Programme is supervised and verified by a distinguished panel of international referees, consisting of prominent and highly respective individuals in the financial services industry. Mr Philippe Paillart was formerly vice chairman and CEO of DBS Bank and a pioneer in the retail banking industry in the Asia Pacific region, having served at senior management levels at Standard Chartered Bank and Citibank. Prior to his appointment with DBS, Paillart was Chairman, President and CEO of Ford Motor Credit Company, and President of Ford Financial Services Group. Mr. Sabhlok is an expert in relationship management, financial management, and risk management in financial services industries. Mr. Sabhlok's experience has been honed over 11 years as South Asia regional audit director with Citibank in its global consumer banking division in Asia, country credit director in Thailand, and as CFO of the Singapore business. Wilson Chia is a highly seasoned banker with over 30 years of experience in the financial services industry. Most recently, he was the Regional Head of Consumer Banking for South East Asia with Standard Chartered Bank. Wilson joined Standard Chartered in a number of senior positions in Cards, Marketing & Sales, Distribution, Product Management, SME and Premier Banking. Mr. David Gyori is a globally renowned fintech consultant, trainer, author and keynote speaker. He is the chief exefcutive officer of Banking Reports based in London and is a founding member of the World FinTech Association. Gyori is a faculty member of the Retail Banking Academy, one of the most prestigious banker-training facilities. Mr. Chris Skinner is known worldwide as a leading commentator and strategist on the financial markets, and is a well-known blogger through thefinanser.com. He works full-time as chief executive of think tank Balatro, as well as chairman of the Financial Services Club and a co-founder of the website Shaping Tomorrow. Mr. Richard Hartung has over 20 years of experience in the payments & consumer financial services industry. 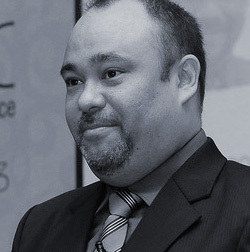 He has held senior roles for financial institutions including Citibank, Mastercard International, and OCBC Cards. Mr Hartung holds position as consultant in the areas of retail banking, cards and payment products to financial institutions, service providers, and software companies throughout the Asia Pacific region. The Technology Innovation Awards Programme is supervised and verified by a distinguished panel of international referees, consisting of prominent and highly respective individuals in the financial industry. Anne Weatherston has over 28 years of experience in banking and technology. She was group CIO of ANZ Bank for four years, during which she was responsible for a major transformation of the bank’s technology strategy which resulted in a major turnaround of underlying infrastructure and the design and execution of a new technology roadmap to underpin the bank's super-regional agenda in Asia. Prior to ANZ, Anne was group CIO at Bank of Ireland. 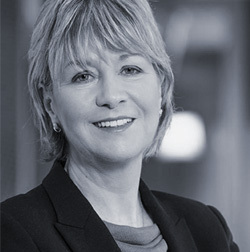 She has also played technology leadership roles at Santander, National Australia Bank and Royal Bank of Scotland. Eric Tachibana has held senior banking roles at Barclays Capital, Merrill Lynch, Bank of America, and most recently as Chief Operating Officer for the Asia Pacific technology office at UBS where he covered business management, enterprise applied innovation, strategy, marketing and engagement for investment banking, wealth management, and asset management. Eric has experience as entrepreneur in Silicon Valley as well as a successful private equity fund manager. He has also taught as an adjunct professor at the National University of Singapore and Thammasat University business schools. Currently he is working with Amazon Web Services in Platform Strategy and transformation. 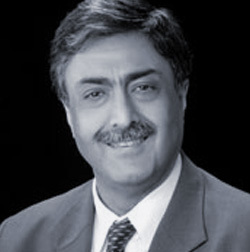 Pravir Vohra has over 30 years of working in the banking industry with senior roles in technology at ICICI Bank, State Bank of India and Times bank. He retired as the President and Group Chief Technology Officer of ICICI Bank Ltd in 2012 where he was responsible for IT strategy and innovation, enterprise architecture, process automation and leveraging technology synergies across the operations of the bank. Pravir is now a mentor to two start-up companies and advisor to a few technology companies.